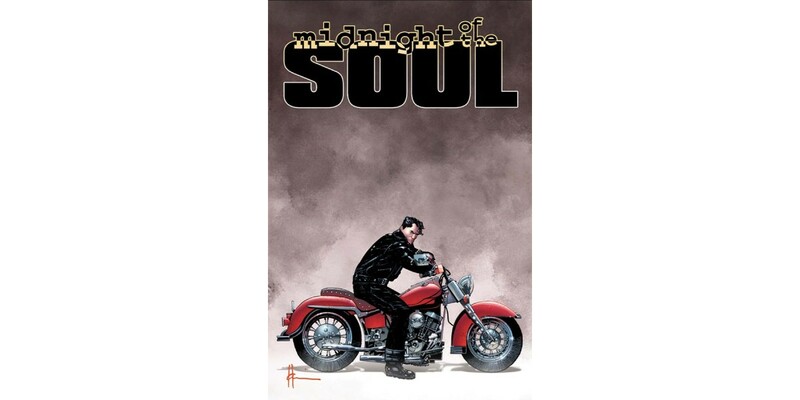 Image Comics is pleased to announce that fan-favorite MIDNIGHT OF THE SOUL by Howard Chaykin (SATELLITE SAM) will be collected into trade paperback and available in stores this December. It will collect issues #1-5. In MIDNIGHT OF THE SOUL, Joel Breakstone, a GI liberator of Buchenwald and brutally damaged goods, follows a path of vengeance. But what begins as a quest for vengeance, transforms into one of redemption in a violent journey into his own heart of darkness—in a spiritual adventure from comics' contemporary master of crime and punishment. MIDNIGHT OF THE SOUL trade paperback (Diamond Code: OCT160661, ISBN: 978-1-63215-891-8) will hit comic book stores on Wednesday, December 14th and bookstores on Tuesday, December 20th. The final order cutoff for comics retailers is Monday, November 14th. It is also available for pre-order on Amazon, Barnes & Noble, Indiebound, and Indigo.